The scene in the 1977 film Smokey and the Bandit when Burt Reynolds jumps a closed down bridge with his Pontiac Firebird Trans-Am is one of the more iconic scenes in the beloved action flick, and now you can see it live. 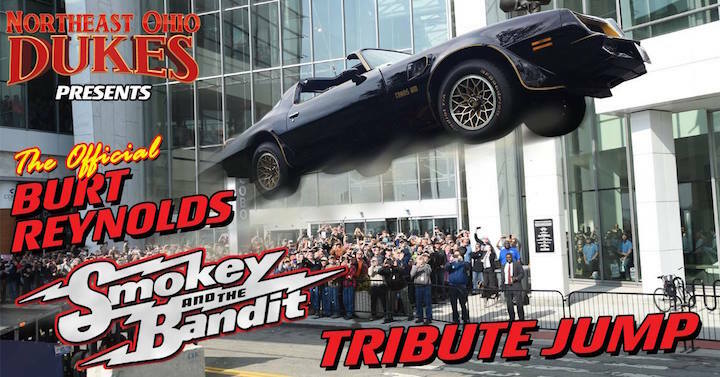 At the forthcoming Detroit Autorama, a stunt group known as the Northeast Ohio Dukes will perform a Smokey and the Bandit tribute jump with a Firebird Trans Am. There’s not too many details on the jump just yet, but the event description on Facebook says the jump will go down on March 1st, 2019, at 11:45 a.m. ET, kicking off the annual Detroit Autorama custom car show. This is the same group that performed a Dukes of Hazard tribute jump at the event back in 2017, launching a ratty 1969 Dodge Charger replica a good 15 feet in the air in front of a wowed crowd of onlookers along Detroit’s waterfront. We hope they’ve procured some kind of transition ramp for this jump, though, as the flat landing they used last time looked a little bit rough. Then again, a group that calls themselves the Northeast Ohio Dukes are unlikely to care all that much about a smooth landing. While the bridge jump is the more famous Smokey and the Bandit jump, it’s far from the only time the Trans Am gets all four wheels off the ground in the movie. In one scene, Sally Field’s character accidentally jumps the car right into a kids’ football game while trying to evade the police. In another, Reynold’s jumps it over a police while, you guessed it, also attempting to evade the authorities. We’ve embedded a compilation of automotive-related Smokey and the Bandit carnage above, for your viewing pleasure. If you’re going to this year’s Detroit Autorama, we’d be sure to try and make it out for this Smokey and the Bandit jump. After all, when else can you watch a car jump in the core of a major American city? While General Motors has phased out Pontiac which means there are no Firebirds.. the company Trans Am Depot which builds converts current generation Camaro into Firebird Trans Am will be building a limited edition 840 hp Trans Am Bandit. I hate to see another classic Trans Am destroyed but I get it.